First Indochina Group, whose managing partners were based in the US and Europe for over 20 years, have set up a regional presence in Vietnam, Myanmar, Cambodia & Laos. The results are a strong strategic alliance with bankers, lawyers, investment analysts, investment firms, economists and business leaders as well as relationships at all levels of government. Creative and comprehensive advice is available to companies planning to enter the Vietnam, Myanmar, Cambodia and Laos markets. Investment Opportunities Found; Challenges Resolved. 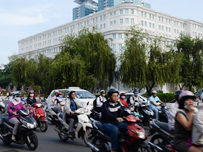 Over 39 million motorbikes are currently registered in Vietnam, over three million more than the amount a government plan envisaged for 2020. © Copyright 2014 First Indochina Group. All rights reserved. Industries represented in Vietnam & Cambodia by First Indochina Group include: Agriculture, Aviation, Chemicals, Construction, Consumer Appliances, Electronics, Entertainment, Fashion, Hospitality, Medical Supplies, Mining, Natural Gas, Pharmaceuticals, Plastics, Power Generation, Textiles, Telecommunications, Tool & Dye, and Veterinarian Services. •	Access to personal contacts, which include Bankers, Lawyers, Senior Business Executives, Heads of Governments and local business leaders. We have the ability to undertake your project or that of your client with a working knowledge and understanding of how to protect your professional relationships. If you have a developing or an existing relationship with a client or firm, we will both protect and respect that important alliance. If you need to locate a local firm, we can give you the benefit of our long working residency here to help you make a better selection. If you are from a firm with clients interested in this region for non-legal, local tasks, we can establish a professional association between our respective offices to provide assistance to you that will both enhance your client relationships and be cost-effective. Success in each nation requires knowing the cultural differences, and being able to not just overcome but to master them. We understand and are well accepted in both the international and domestic, business, political and social cultures. First Indochina Group’s Associates include Key Domestic Vietnamese &local experts who have American, French and Russian training, substantial international experience, as well as the sophisticated Asian, and nascent Myanmar, Vietnam and Cambodia experiences. Our staff is available on a project base, no matter how large or small, to help you complete your task in Vietnam, Myanmar, Cambodia & Laos, cost-effectively and expeditiously. We are your specialists in Vietnam, Myanmar, Cambodia and Laos. We combine the substantial legal and operations experience of our principals, with the skills of our many resources, to help establish a solid foundation for a developing business. We analyze your objectives and resources, and then develop with you a workable plan to achieve your goals. Our research over the years and across industry lines will be valuable to your early decision making and planning. While we can build upon our existing data base, most projects require that we undertake a new study in each case. 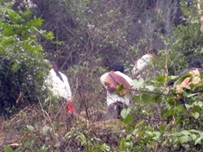 To meet the requirements of local authorities and tomemorialize at the outset the parameters expected of your local business, we work with you or on your behalf to conduct a comprehensive analysis of the local market, product acceptance, invested equipment and technology needs, staff requirements, site locations, labor, transportation, utilities, and waste disposal. With your guidance, we draft the report to support a new proposal or a bid on an existing project.